The last and arguably most surprising announcement during the recent Nindie Direct was Cadence of Hyrule: Crypt of the NecroDancer. Many hours on, we're still scratching our heads wondering how the heck an indie developer has got the rights to create a title based on one of the most iconic Nintendo series of all-time. To shed some light on the situation, IGN recently spoke to Ryan Clark, the founder of Crypt of the NecroDancer developer Brace Yourself Games. It all started when the Vancouver-based studio began thinking about its next project for the Nintendo Switch and thought how cool it would be to have Zelda characters in NecroDancer as downloadable content. 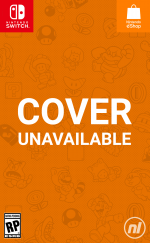 Surprisingly, Nintendo was "extremely interested in the prospect" when it was approached and this resulted in an entirely new game, mashing together the roguelike rhythm experience with the famous action-adventure series. It's a rather significant development when considering how protective Nintendo is of its IP. While it has been known to hand out the rights to major series such as Mario, Zelda and Star Fox to experienced third-party developers, it's never really given an indie developer such a big opportunity. In fact, Cadence of Hyrule is Brace Yourself's second ever release. Still, the original NecroDancer was a wonderful game and the small team has clearly proven it's more than capable of creating a rhythmic action-adventure set in the Zelda universe. 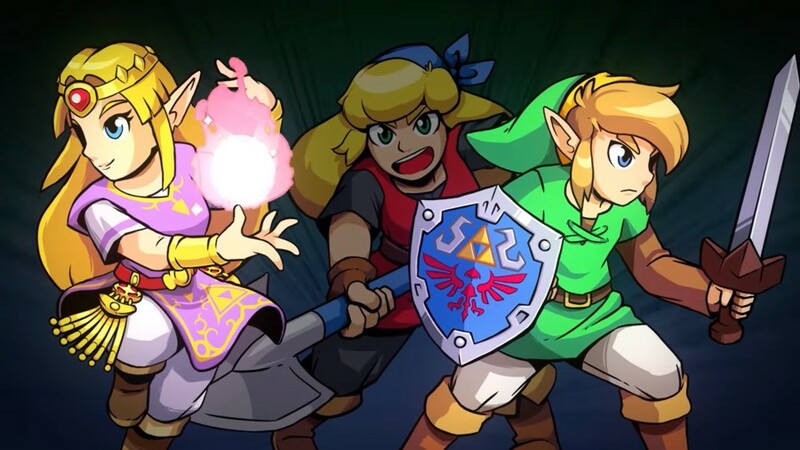 Cadence of Hyrule arrives this Spring. Are you looking forward to this release? Tell us down below. So interesting to see Nintendo stepping in like this for an indie title. Excuse me, I mean a real Nindie title. I’m surprised Nintendo allowed their IP to a relatively unknown developer like this but wouldn’t let Yacht Club Games borrow any of their OCs. Better late than never I guess. Really cool that Nintendo are becoming more open to things like this. Necrodancer is brilliant and this is going to be so much fun. I wonder how many calls Nintendo got today from indie devs asking for IP's?? @brandonbwii Shovel Knight is its own great thing, but yeah, one would think they should talk things over when Kratos or Battletoads crossed over. Hmmm... Well, I guess theres still time when the King Knight campaign is still being made. I wonder what caused Nintendo to trust this dev over thousands of others. And why Crypt of the Necrodancer? It's just so random. Good on them though. It seems to be a great fit. It should be great for both parties. @Spoony_Tech I wonder what all the developers of those Zelda-wannabe indie games are thinking now that there's an honest to goodness Zelda indie game. Were it me, I would hang up and leave the industry forever because I couldn't handle the shame. @AlternateButtons Probably because it's just such a perfect mix. The gameplay of Crypt of the Necrodancer and top-down Zelda will blend together really nicely to create something really unique and interesting. Most other games if you tried to crossover with Zelda would probably just feel forced for the sake of being a crossover. I really loved the original CotN. The gameplay is so simple but there is so much strategy involved with the enemies. The combat will be a great match with Zelda’s traditional item set. I’m just wondering if puzzles,one of the foundational aspects of Zelda dungeons, will be included. It might be strange to play a Zelda style 2D action game without a single puzzle. The original Crypt only had keys and the occasional switch to proceed to the next room. Those are also in Zelda games but are hardly distinct to the series. Crypt of the NecroDancer got VERY high marks across the board. Like 86% on MC. Which is phenomenal. And this game looks like they really stepped it up. The art style is a drastic improvement over the original game. And just being a Zelda version of it makes it even better. As someone who works in the graphic design business, I can say this: make a good product and even the largest of corporations will come to you, be it by way of a director or editor noticing your work. Those possibilities are out there along with a little right place, right time which was probably the case for this dev. But it's great and interesting to see what Nintendo will do next! I think getting access to Nintendo characters is something they are getting asked often, but it seems one requirement is to have them as playable character and not play 2nd fiddle. Also it seems that Nintendo still has a keen eye on what flies and will naturally fit. In addition I think BYG must have had a killer presentation of some sorts, for Nintendo to see how it works, before giving the thumbs up. Seems they probably did their homework just right to get the DLC and ended up with so much more. Since the protagonist of CotND never got name dropped in the trailer I had to google her and holy eff, her name is Cadence. Nintendo sneakishly allowed her name to be in the title... (I know this is another synonym for rythm, but HOLY BANANAS they went especially with that!). Did Yacht Club ask though? Would they offer anything new to the Nintendo IP? CotN offers a twist on a typical top-down Zelda, that's why I think Nintendo said "why not?". If CotN played exactly like a top-down Zelda, they probably wouldn't have said yes. For their next trick... What about a Metroid branded Hollow Knight 2D game from Cherry? I don't like to see a licence such as The Legend Of Zelda being developed by indie studios. This is like asking Mc Donald's to prepare a meal for Hilton's customers. Give Mario to Matt Thorson! The look on everyone's faces when they heard the music play the Zelda jingle was probably the same around the world. I certainly enjoyed showing this part of the showcase to my girlfriend later in the evening. Though she wasn't familiar with CotN before. I bet the Brace Yourself Games office went absolutely batshit crazy when they got word that they were going to be allowed to use this IP. Imagine the scenes. Quality from Nintendo, I like seeing these cats popping up in new places! I think indie is the way to go for a lot of their properties, mainly the ones laying dormant like F-Zero, Kid Icarus, Startropics, Earthbound, Pilotwings, Advance Wars etc. They dont even have to be retro revivals eitger as companies like Shinen have proved they can do high end graphics with a small team. Might also be a great way to revive ailing franchises like the current Mario RPG games, Starfox etc. These really need some new breath of life that Nintendos 2nd and 1st party studios are failing at and also free up some teams to work on new ideas rather than stagnate working on the sames games as always. What price on Cadence appearing as an NPC in a Zelda game in future. I like the voicework. @hadrian agree with you entirely. Hopefully Shin’en are working on F-Zero and many other Nindie collaborations are in the pipeline. There’s so much love out there for Ninty’s dormant IPs. Some Nindies, not all mind, will be able to do the IPs justices and hopefully rejuvenate interest in them. My body is slowly dying from a lack of Pilotwings, Waverace, 1080 and Eternal Darkness etc etc etc etc. It pains my heart. Ubisoft: We have the most ridiculous Nintendo crossovers. Brace Yourself Games: Hold my beer. @Cathousemaster Team Cherry X Metroid yes yes yes please!!!! And so the games begin! I heard there was demo on the eshop, so I might check that out soon. Nintendo design philosophy has been so thoroughly internalized by a generation of developers (from indie studios to Davide Soliani at Ubi) that they can do partnerships like these from time to time and the products emerging absolutely feel like Nintendo games. @hadrian Starfox: Battle for Atlas was pretty enjoyable. Not indie, but still good and not Nintendo. I was immensely surprised by this but t seems Nintendo has been more open to collaborations lately ( Mario/ Rabbids and Starlink). CotN is in my backlog but I think that will be my next title so I can see if I’d like to pick up the second. When Ubisoft wanted to make a Mario game, Nintendo allowed them under the agreement that it would be different from any other Mario game. So Brace Yourself Games, who made very unique game to begin with approaches Nintendo about using Zelda in there rhythm based action game, I can naturally see Nintendo saying well Zelda never been a rythme based adventure, why not make a whole new game on your fresh concept. I imagine other developers would have approached Nintendo as well, but even the likes of shovel knight while very top noch platformer at the end of the day it's still something Nintendo themselves have explored. @Jeremazing This is exactly what I came to say. CotN is not only a very good game, but a very different game. If this had been an indie studio who produced an ordinary platformer or a top-down adventure game that already played like a Zelda, this partnership would have been dead after a single phone call. This isn't "Nintendo let some indie studio make the next Legend of Zelda game", it's "Nintendo let an indie studio make a totally unique and quirky genre mashup with LoZ characters". That's a very different proposition. Either way, it's very cool that Nintendo let this happen. Looking forward to the game, I just hope there's a chance of a physical release. What? McD's is as corporatized as you can get. Hilton asking McD's would be like Nintendo asking EA. This is more like a celebrity chef featuring an excellent local restaurant. If I want to eat caviar (ZELDA), I don't expect to find it at Mc Donalds(INDIES). For me, Zelda is too prestigious to be developed by an indie. To be honest I'm kind of disappointed in this. It feels like nintendo missed thousands of opportunities here by allowing this one small company with "one game" in their entire companies catalog to make a spinoff to a billion dollar franchise. I don't know why, it just seems completely unfair that a company which made one game that is still obscure and barely talked about gets this kind of treatment when there are hundreds of amazing games on nintendo switch that could've benefit greatly with the same treatment. @Tantani I've owned the switch since launch and been on the shop about two times a week since then. I've only seen this game in the "hits" section only once but never recall it being on top. also, one more thing I'd like to add. if this was just some DLC, I would've absolutely loved this! but them treating it like it's a spinoff to the Zelda franchise just makes it feel wrong to me somehow. Zelda was too prestigious for Four Swords, and yet Nintendo themselves have already released half-baked spinoffs that have already diluted the prestige of the brand. Indie is not synonymous with poor quality, just as AAA is no longer indicative of guaranteed quality. I think it's awesome, and I'm one of the biggest Zelda fans out there. I hate seeing stupid stuff done with venerable franchises, but this is unique. Necrodancer is an incredible game, and the previews for this look awesome. I think Hyrule Warriors is way closer to being a detriment to the Zelda franchise. I like Warriors and it's certainly fun to mess around in for a few hours, but there is that janky feel to it that all those Warriors games share, and I dreaded that happening to Zelda. I don't get the doom and gloom about the Zelda franchise in this thread? Did I miss something? Just last year everyone was bellyaching for a new Zelda title of any sort. A franchise that only releases a game every 4-5 years may remain nostalgically good, but it won't grow. I'm not saying these sorts of things need to be pumped out every year or two, but if what we're getting for Zelda this year is the Awakening remake and this, then that's excellent. Thank you for clearing that up, @Pckid apparently has a skewed view of Indie Vs AAA and has never played a good indie game in their life. Their priorities are not really in order, so I appreciate your comment. You know that Nintendo loves to go the unique way! Jumping in rhythm as a key feature for a Zelda game... No thank you. You have the right to like that, I don't.